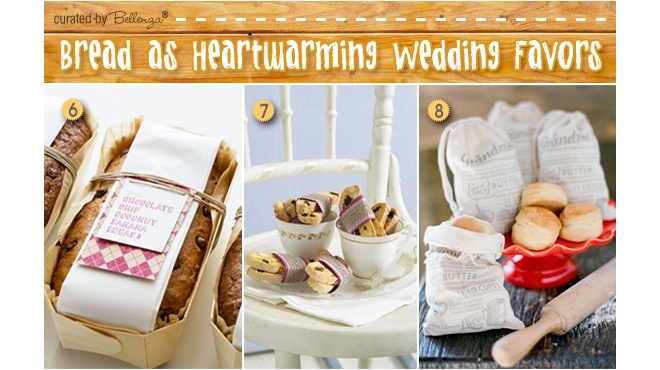 There’s no shortage of favor ideas for couples tying the knot in December. Search for something to give that is meaningful, reflects your unique backgrounds, and showcases a special skill or hobby. Anchor your favors on something traditional that echoes the sentiment of the holiday season. 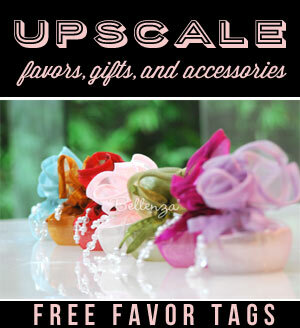 #1 RUSTIC FAVORS – From pine cones to potted herbs, 7 rustic favor ideas that you can make at home. #2 MINI GIFT BOXES WITH PORCELAIN KEEPSAKES – For a winter wonderland wedding with a dreamy vibe, these miniature porcelain slippers in gift boxes are ready to give! 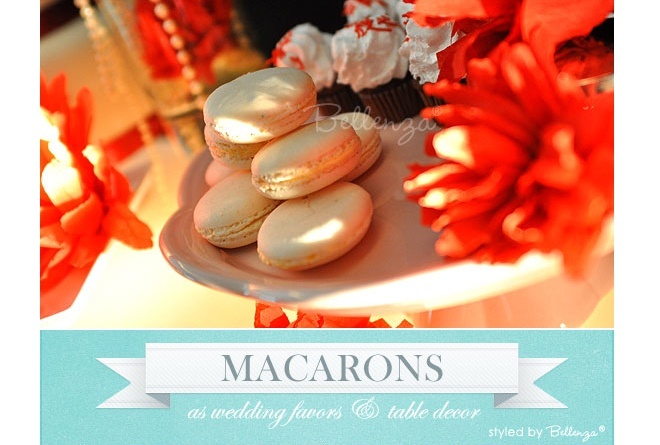 #3 MACARONS IN FANCY FAVOR BOXES – For a classy wedding with a Parisian flair, macarons make sense as favors! 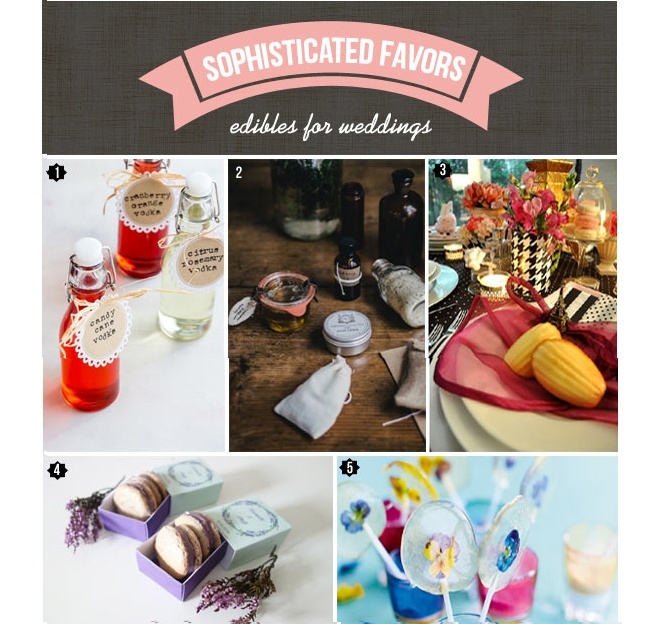 #4 Edible Wedding Favors – From espresso flavored sugar cubes to chocolate truffles to candy cane vodka, give something sophisticated and edible! 10 ideas waiting for you! 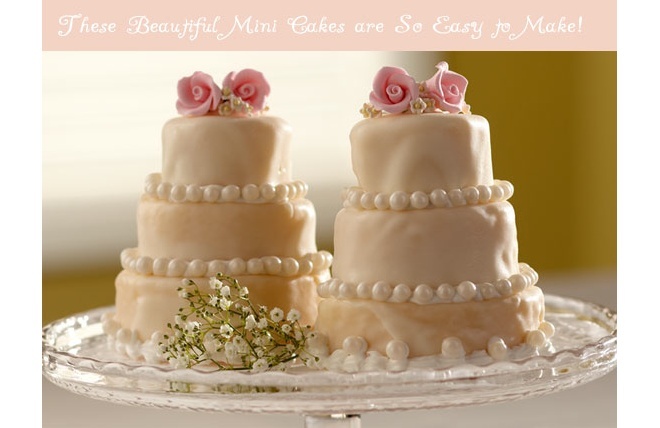 #5 Miniature Wedding Cakes – Mini cakes are dainty and elegant! Learn how to make these darling pieces. 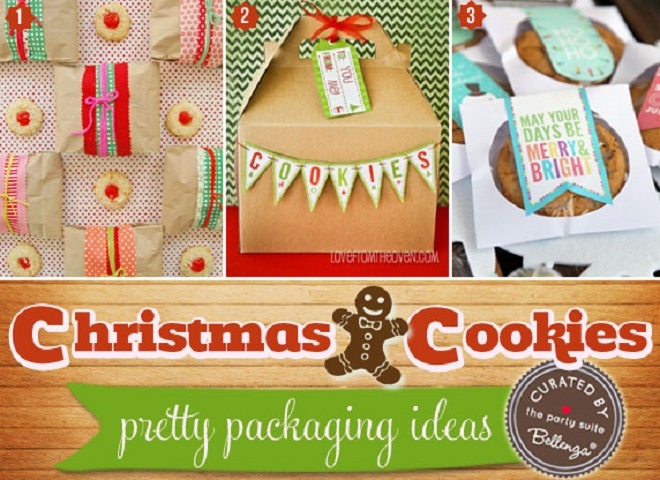 #6 Homemade Christmas Cookies in Pretty Packaging – Give homemade cookies and package them up pretty using canisters to doily lined cookie bags finished with twine and festive ribbons. 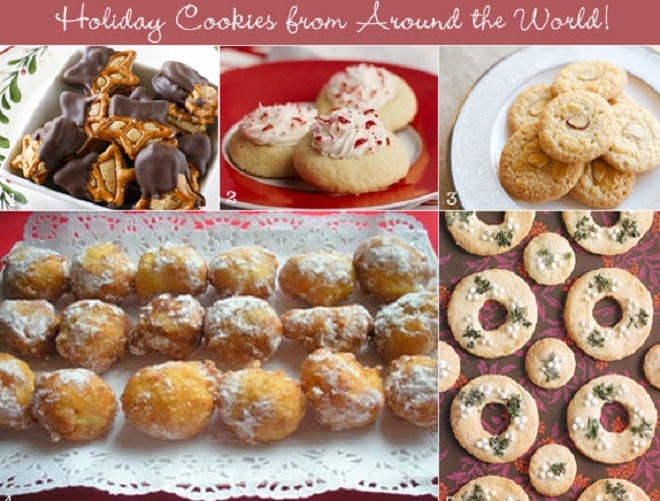 #7 Holiday cookies that celebrate your heritage – Set up an international cookie table for guests to choose their favorites to take home. 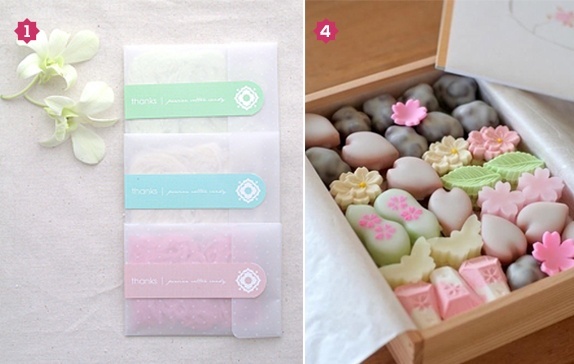 #8 Make or buy candy with an international flair – Here are 10 fabulous candy favors from chocolate covered pretzel sticks to Japanese wagashi. 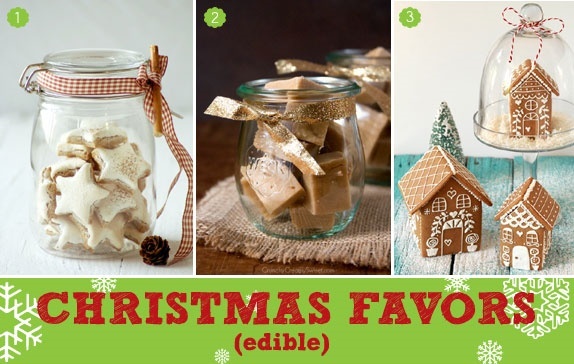 #9 Christmas themed favors from gingerbread to cinnamon – Think cute antler cookies, hot cocoa mixes in jars finished with peppermint sticks, candied nuts, star-shaped cookies, gingerbread house cookie boxes, and cinnamon sticks, 12 creative favors to DIY. #10 Traditional Christmas favors with a yummy and sweet spin – From party crackers to gingerbread bride and groom cookies, give an edible favor packaged in Christmasy hues. 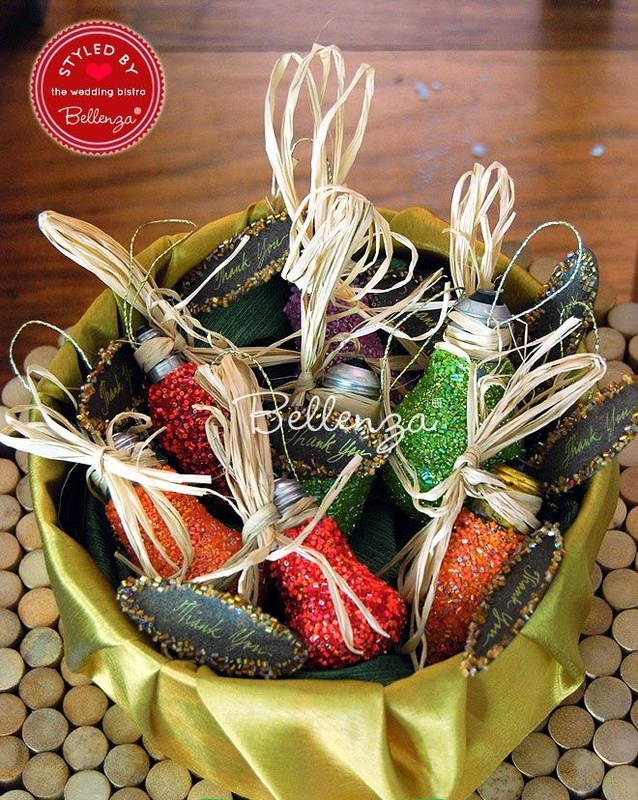 #11 Christmas favors from bells to cookies that are easy and budget- friendly to make – From Christmas bells to gingerbread house bags filled with cookies, here are some traditional Christmas favor ideas that can be made at home. 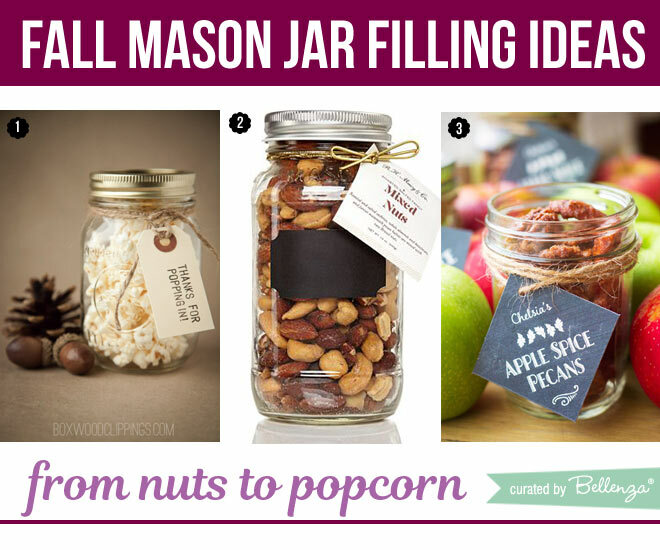 #12 Mason jars filled with nuts to popcorn – From spiced nuts to flavored popcorn, package homemade goodies in mason jars for a rustic favor idea. 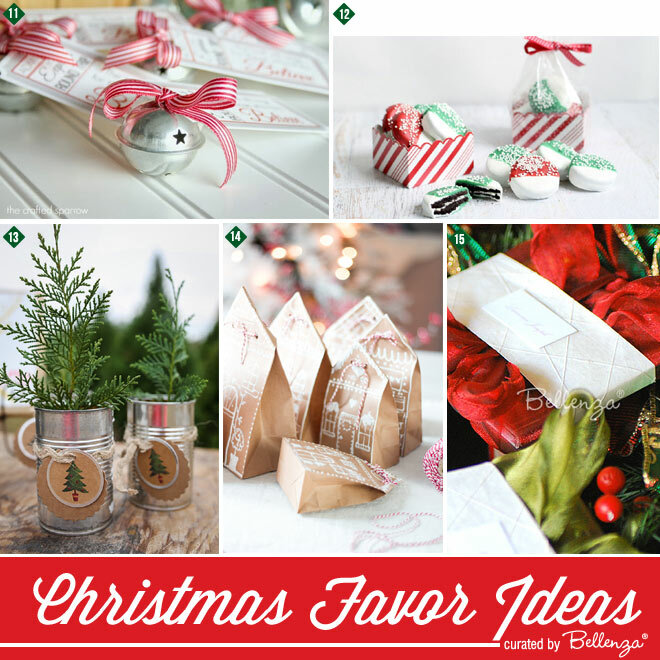 #13 Peppermint-flavored Christmas favor ideas – Peppermint candy is a must for a winter December wedding. Think peppermint chocolate snowflake cookies, peppermint fudge, and cake pops! 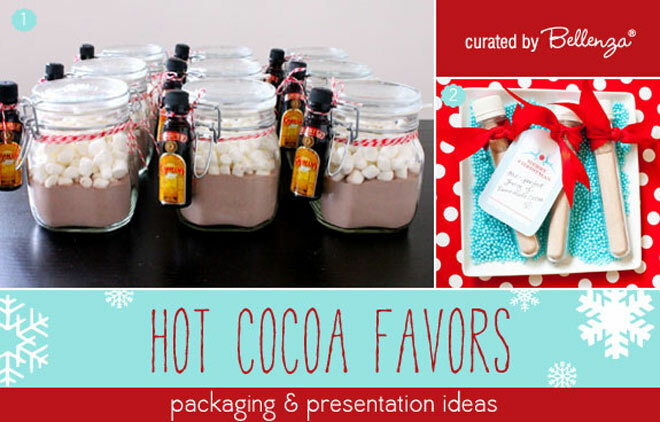 #14 Hot cocoa favor and packaging inspiration – Brrr. Baby, it’s cold outside! Yes. 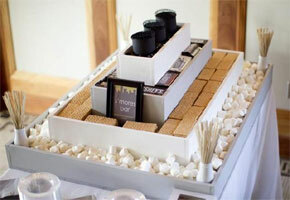 Hot cocoa is the definitive choice for a winter wedding held at a ski lodge. Need we say more? 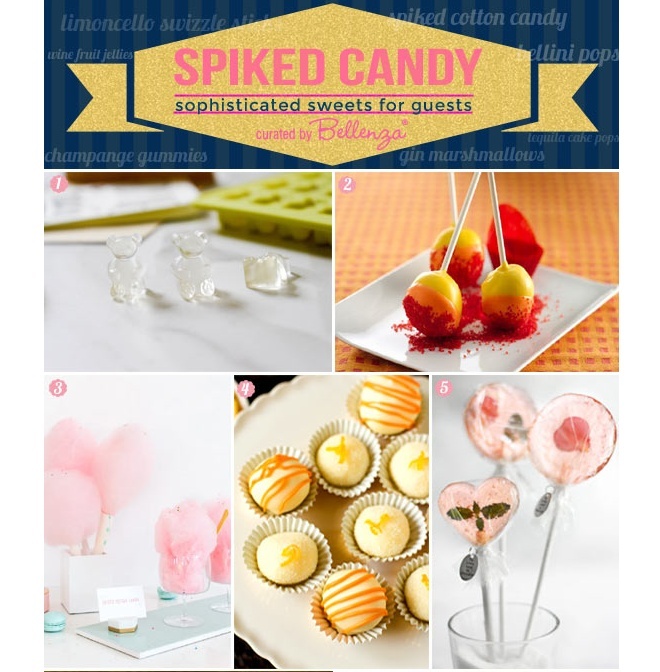 #15 Spiked candy as favors – Spiked and sweet! 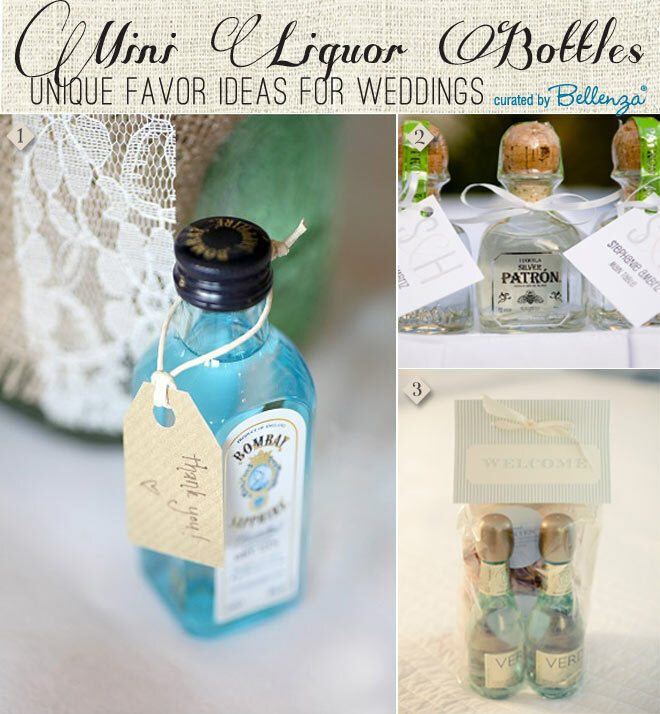 If that is how you view your style, then take inspiration from these boozy favor ideas from lollipops to gummi bears. #16 Bake your favorite bread and enclose the recipe – From buttermilk biscuits to scones, winter is the perfect time to spend some time in the kitchen! 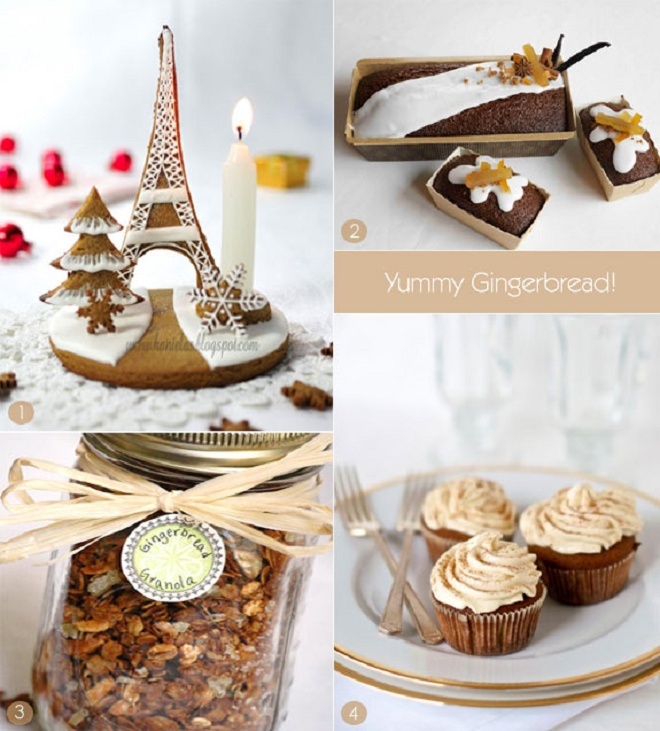 #17 Gingerbread favors – From scrumptious cupcakes to gingerbread granola to classic gingerbread loaves, find something to create for a yummy favor. 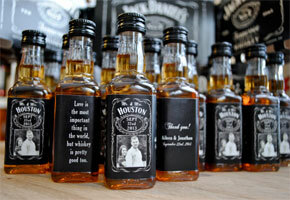 #18 Liquor bottles in miniature sizes – From bourbon to rum, mini liquor bottles should provide ample warmth as favors to take home. 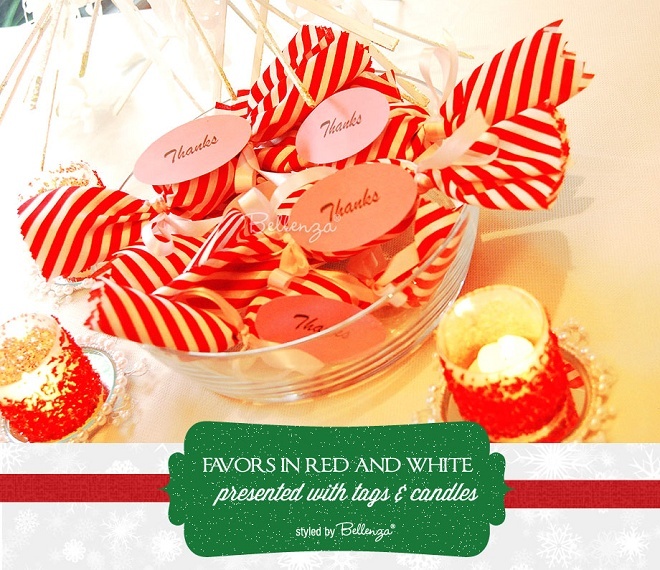 #19 Red and white candy cane favors – Give Christmas favors that double as nifty table centerpieces! 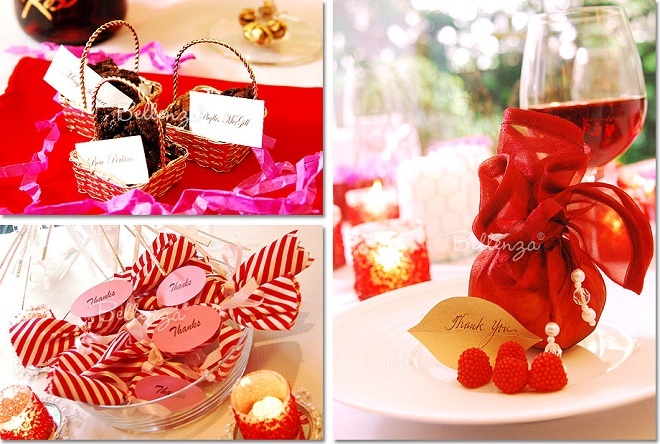 #20 Red themed favors instantly brighten any white winter wedding – From red organza wrapped candies to mini favor baskets filled with chocolates, use red as a simple yet festive way to thank your guests. #21 Upcycled light bulb Christmas ornaments – Make your own ornaments using glitter and crushed beads! 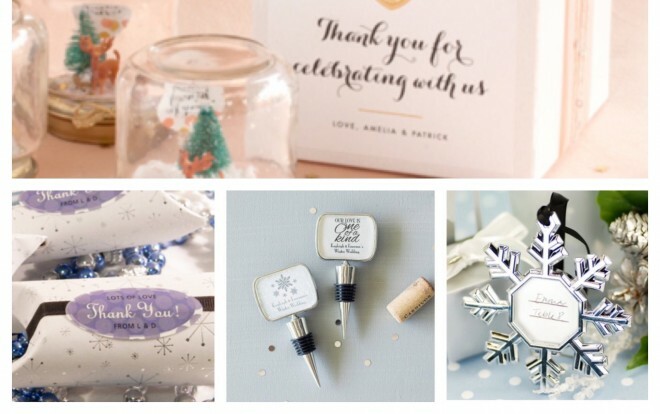 This eco-friendly favor idea is perfect for a winter wedding with a Eco-chic flair. 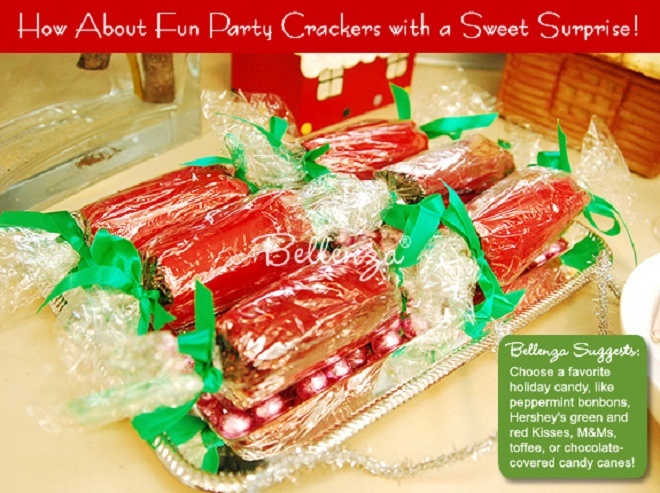 More Winter Favors: Semi-homemade to Ready to Give! #22 Snowflake ornaments via Beau-coup – Such a lovely keepsake to take home during the holidays, which serves as a beautiful place card holder. #23 Personalized bottle stoppers via Beau-coup – For the wine-loving couple, give these bottle stoppers as a practical and elegant favor for the holidays. #24 A favor with a pretty label to make for less than a $1 via Evermine – The creative experts at Evemine have created this nifty tutorial for recycling a toilet paper roll, which is finished off with a lovely personalized sticker. #25 Miniature Snow Globes in Personalized Boxes via Evermine – Baby food jars make the perfect container for recreating a tiny winter woodland scene! 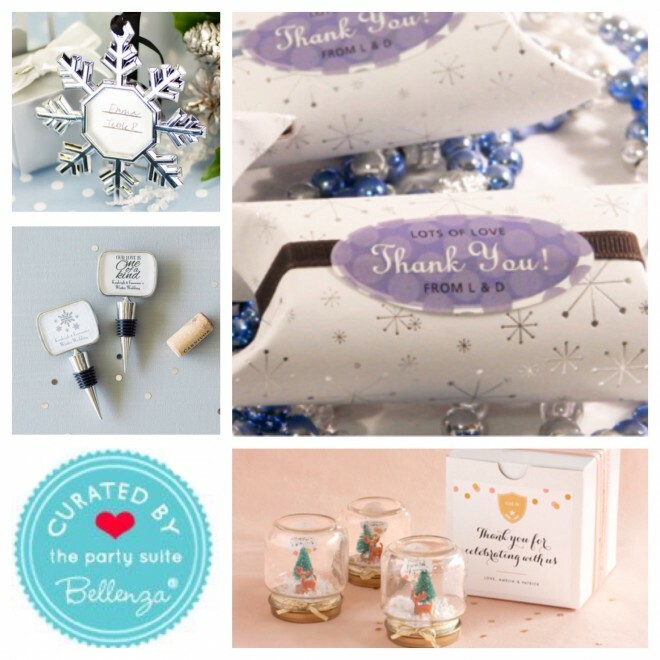 Tuck them in the prettiest personalized favor boxes with elegant labels.